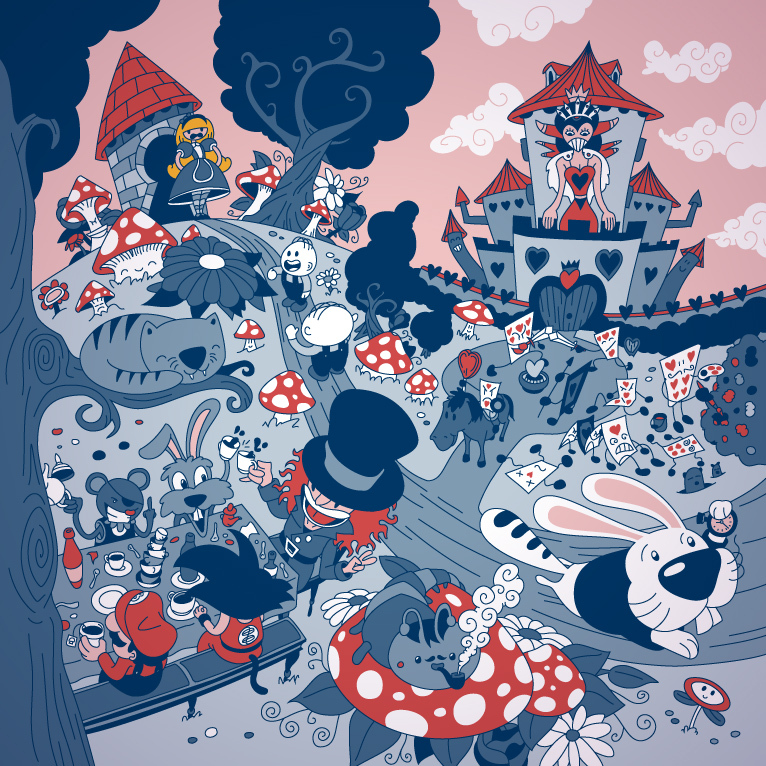 Here I left my last #vector #illustration based on Alice’s Adventures in Wonderland by Lewis Carrol. This image has been created for a collective exhibition in Oviedo around late spring. Finally, a limited edition of 10 units will be printed by serigraphy. My main concern about creating this illustration was to convey the whole bunch of different stories and characters in only one image that could tell something representative about the tale with an unique and funny graphic style. At the bottom of this link, you will be able to see the full process of creation through a time-lapse video of my screen. ¡Boceto rápido para una nueva y divertida ilustración de Alicia en el país de las maravillas! 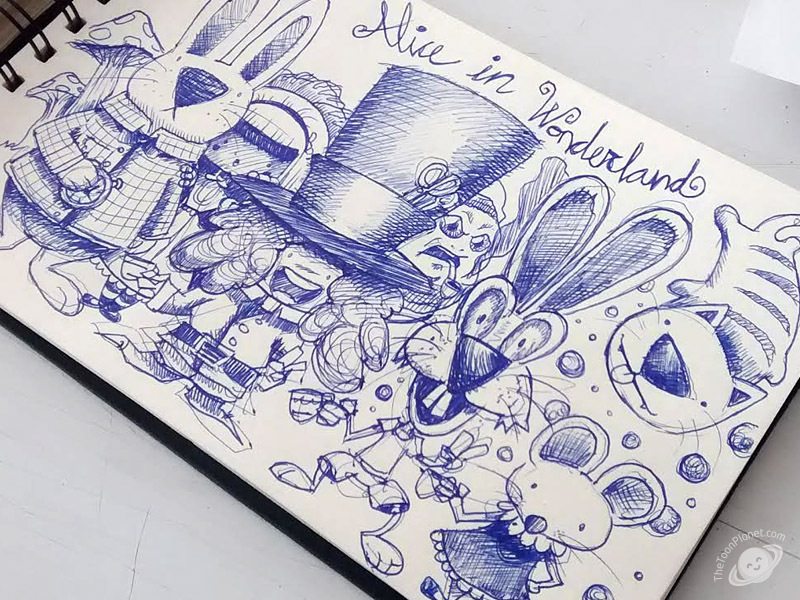 Muy buenas sensaciones con este nuevo dibujo.